Need a Book Recommendation? Here Are a Few to Consider. It’s obvious that I surround myself with books. When I find books that I love, that resonate with me I like to share. So today a quick post about 4 books that I have read recently or am reading that I love. 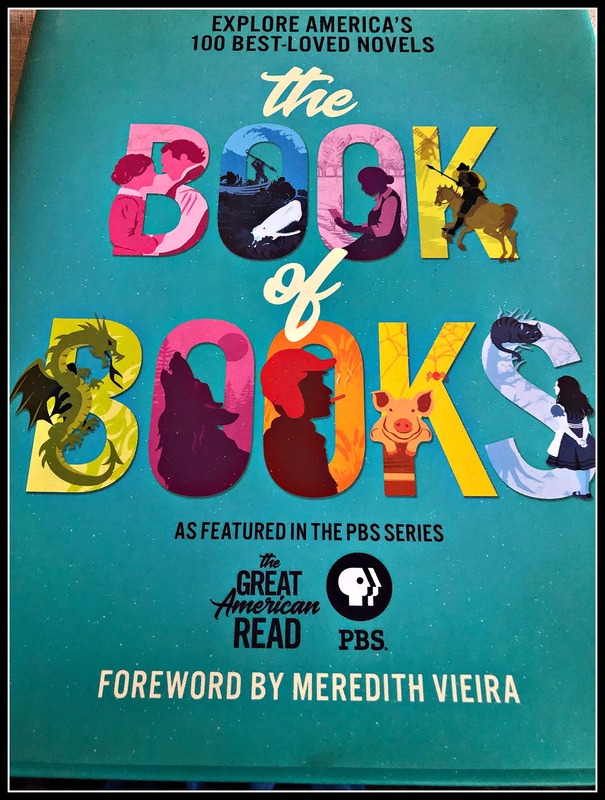 First up is The Great American Read: The Book of Books which is promoting The Great American Read by PBS. It is a fabulous book that Chris got me for Christmas and that I got for Erin for Christmas. It is one of those books that I am reading slowly and savoring because it is just meant to be read that way. The book itself is beautiful to look at and it graces my coffee table and brings a pop of color and delight. Inside the covers the reader is introduced to 100 books listed in alphabetical order. Each selection includes illustrations, covers and a brief synopsis of the book. It is glorious and I am discovering just how many of these wonderful books I have yet to read. It is inspiring. Next up is the latest book by my now favorite Southern author Sean Dietrich. I have extolled his praises many times on It’s Just Life and you can read my latest post sharing my fandom here. 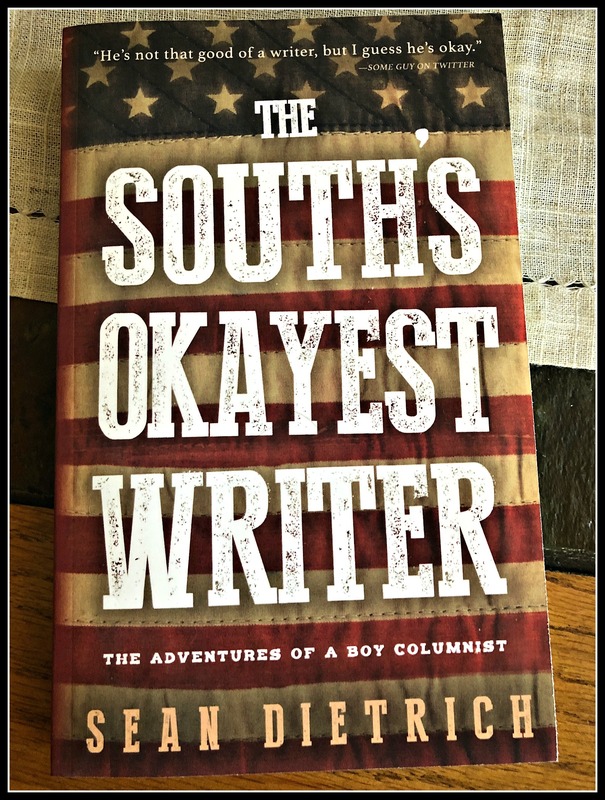 Sean is a prolific writer and his latest book, The South’s Okayest Writer: The Adventures of a Boy Columnist, is just a fun offering from Sean. His short stories are the perfect thing to sit down and read anytime. I guarantee a few of them will turn your day around. Sean also has another book coming out that I have pre-ordered . Stars of Alabama is a novel set to publish in July 2019 so get yours pre-ordered today. It looks like another great piece of Sean Dietrich storytelling. 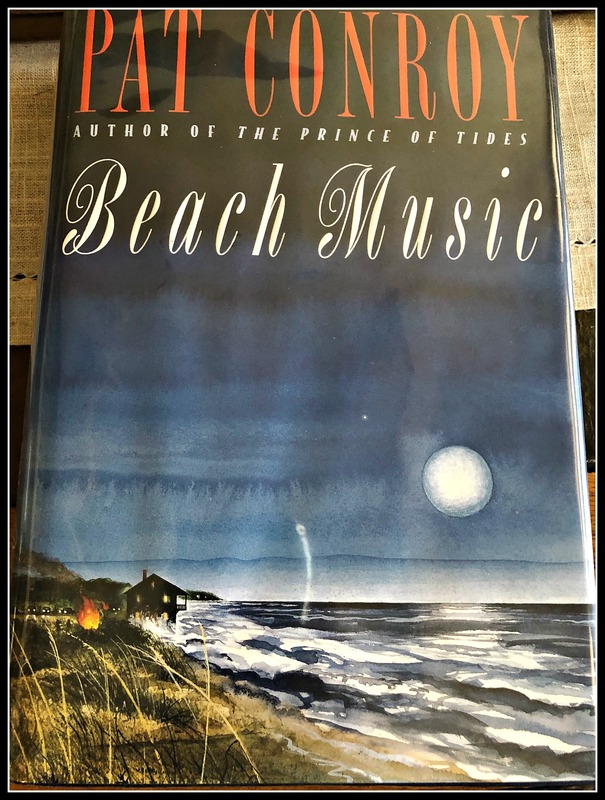 Ever since my last trip to Beaufort, SC I have become a HUGE Pat Conroy fan and this book, Beach Music, was such a wonderful example of the gift of writing that Mr. Conroy possessed. It is a long book but don’t be scared. It is totally worth the time and effort spent reading it. I love the way he writes and his command of the English language is unprecedented. I had to look up the definitions of words often and it stretched me to read unfamiliar words and phrases. This was the perfect book to read during our Christmas week at the beach and I would recommend it (and have) to anyone looking for a really wonderful novel that will stick with you long after the cover is closed. My final recommendation is a book written by one of my favorite journalists Tommy Tomlinson. I have loved his writing and when I heard he was going to be releasing a book about his weight loss journey I knew it was going to be on my list. I opted to get an audiobook because Tommy reads it himself and I love listening to him. If the option of having the author reading the book is available in audiobook form I admit it pulls me in. The Elephant in the Room: One Fat Man’s Quest to Get Smaller in a Growing America did not disappoint me at all. In fact this book is about so much more than weight loss that if that isn’t a topic that is of interest for you I think you might still enjoy reading (or listening) to it. Mr. Tomlinson writes from the heart and from a place of depth. His weight loss journey has been just that – a journey. He shares in his book the many truths he has discovered about himself and his love of all things food. In the South food is definitely a means of comfort. Uncovering many of the truths about his food habits was eye opening and the most powerful part for me was hearing him report each month what his starting weight was and what his ending weight for the month was. Brutally honest but powerful. So there are a few recommendations to put on your to read list. Tell me, what are you reading that you would recommend? Leave me a comment and Comment for a Cause . Each comment this month means a 50 cent donation to Dementia Society of America. It all counts. Thank you for these. I’m putting them all on my ‘to read’ list! I think we like a lot of the same type of books, Dawn, judging from your Goodreads reviews. I always enjoy seeing what you are reading. Reading this post was like opening Christmas presents all over again! Thanks! Beach Music is wonderful! Have you read anything by Dorothea Benton Frank? She writes beautifully about the Lowcountry. Yes, I have read some of her books as well and love her writing style. There are so many wonderful authors out there, aren’t there? Seriously? I will have to check that one out. Thank you for the suggestions as the last few books I selected at the library turned out to be ones I just could not read. If, after two chapters I’m not into a book, I stop reading. I totally understand. Sometimes I plod along thinking that it has to get better and it doesn’t. I probably have wasted time on books that I should have just given up on. You’ve been reading some great books. Right now I’m reading Fire in the Vineyard by Christa Polkinhorn, an author I enjoy. Next on the list is Becoming by Michelle Obama. You always have such great books that you are reading as well. Thanks for sharing. Looks and sounds like some very good reading. Will pass it on to my husband. He is the big reader in the family. Thanks, Shirley. I have loved sharing book finds on the blog. Thank you for always sharing your favorite books. It gives me something to put on my list. I’m trying to read one book a month this year and am following Reese Witherspoon’s Sunshine Bookclub. I know it doesn’t sound like a lot of books but for me it’s a big deal. I like the one I’m reading right now — The Library Book by Susan Orleans. It’s about the big Central LA Library fire in the 80’s. The Library Book sounds great and I am adding it to my list. That sounds amazing. And a book a month is a great goal. Good grief–you have a very busy life so I think that is really great. I’m always looking for book recommendations so I’ll have to add a couple of these to my library list!